Muslim Women's National Network Australia | The MWNNA is a peak body representing a network of Muslim women's organisations and individuals throughout Australia. Muslim Women’s National Network of Australia, Inc. is horrified by the calamity caused to the innocent people of France by the un- Islamic behaviour and brutality committed by criminals who claim to uphold peaceful and humanitarian religion of Islam. In Arabic Islam means peace! So far the criminals have killed thousands of Muslims and non-Muslims alike, as well as displacing them from their own homeland. This is in direct contravention of the preaching of Islam, which considers all forms of life as sacred. The sanctity of human life is accorded a special place : Qur’an 5, 32 state that if anyone killed a person, it would be as if he killed all of mankind, and if anyone saved a life, it would be as if he saved the life of all mankind. The Muslim Women’s National Network Australia is a peak body representing a network of Muslim women’s organisations and individuals throughout Australia. We are a multicultural Muslim women’s organization. We welcome Muslim women of all ages, occupations and ethnicities to join with us in sisterhoo. Our individual members include lawyers, corporate managers, journalists, teachers, university students and home managers. Our membership is also drawn from a broad mix of ethnic backgrounds from the Middle East, South East Asia, the Pacific Islands, Africa, Europe and America, as well as members who were born in this country. Our members meet at regular intervals for discussions on topical issues. As a group of committed volunteers, we have partnered with Parramatta City Library, and each month we run educational workshops on women’s health, motivation and relationship building. 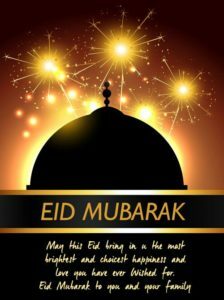 We have affiliations with other states’ Muslim women’s organisations and mainstream organisation such as Pan Pacific South East Asia and Pacific Women’s Association (PPSEAWA), Australian Women’s Coalition (AWC). We take active part in interfaith dialogue and are also members of Faith Ecology Network (FEN). 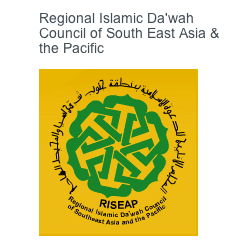 We are also a member of Regional Islamic Dawa’h Council of South East Asia and the Pacific (RISEAP) based in Kuala Lumpur, Malaysia.